It is important to keep that flame burning in your relationship and the best way to do that is to take time as a couple and go on a date. Don’t let money be the reason you and your loved one lose that spark. Not every outing has to break the bank. 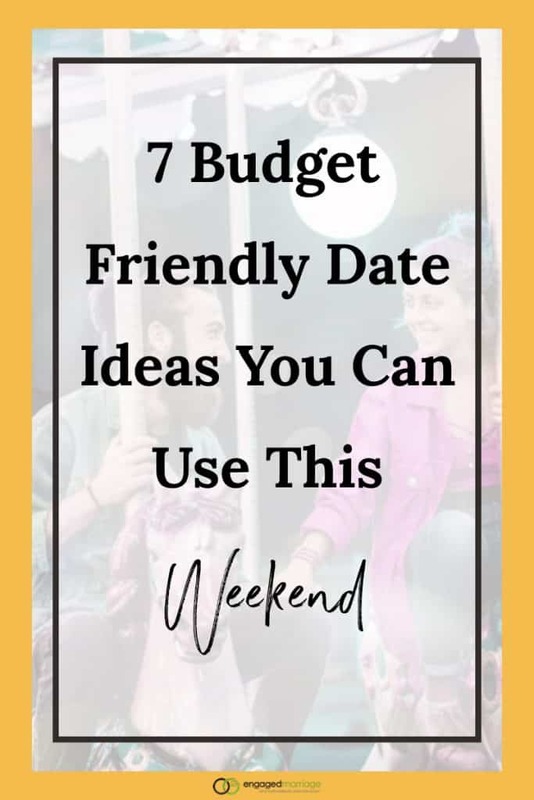 There are plenty of fun and romantic budget friendly dates to dabble in! Make some tasty treats; grab a bottle of wine and a blanket. Head to your local park and relax on the grass. Bring some bread to feed the ducks and enjoy the relaxation. Most parks have fun things to participate in like small farmer markets, swings or paddle boats. You most likely won’t spend over 20 bucks for this date. Unfortunately, drive in theaters are getting less and less common. But if your area is lucky to have one, check it out! It’s very enjoyable and inexpensive. Pack some goodies and a warm blanket and get ready to snuggle up. If a drive in is not close to you, check with your city about movies in the park. Some parks will show a film during the warmer months at night. Local, small breweries and wineries are always pushing for people to take tours, so tour ticket costs are very low. This is great way to support your local economy and enjoy these tasty sips. The tour most likely consists of learning about their business, tasting their products and going home with a new glass! Why leave when you have everything at home? Clean the house up a bit, take the kids to grandmas and set up the dining room table. Cook dinner together, play some tunes, light the candles and pour the wine. Nothing like a good hole in the wall bar to get your competitive side going. That small bar down the road from your home most likely has pool tables and darts plus cheap beers! This is fun and out of the ordinary for couples, but you can enjoy people watching other locals – and don’t forget quarters for the juke box. During the winter months check for outdoor ice skating. Most tickets are under 15 bucks each to skate for an hour or two. During the warmer months, head over to your local indoor skating rink, there always some sort of specials going on. Try not to laugh when your partner falls. This is definitely different from your typical dinner and a movie. What is great about fruit picking is that again, it supports your local businesses and plus dinner will be fresh and delish! Check your city for the nearest farm, farms will most likely provide all the supplies you need for a low cost. This is a great weekend date! Call a babysitter, stop making excuses and start dating again! There is nothing like trying something new and fun with your loved one to keep things going. Search your local city for events and possible date ideas, you will be surprised to see how many are low cost if any at all. These are great ideas. Thanks for the post. Thank you for the tips! My wife and I are doing Dave Ramsey’s total money makeover and need cheap ideas like this! I’m a big Dave fan (search for Dave Ramsey and you’ll find a lot of articles here on EM) – I hope you can treat your wife with these ideas! Thanks, Matt. I’m glad you enjoyed the post! My wife and I like going to the local coffee shop to get drinks and have quiet time together. We might people watch, catch up, plan for the future, or just share day-dreams. But it’s a cheap and easy way to spend time together.